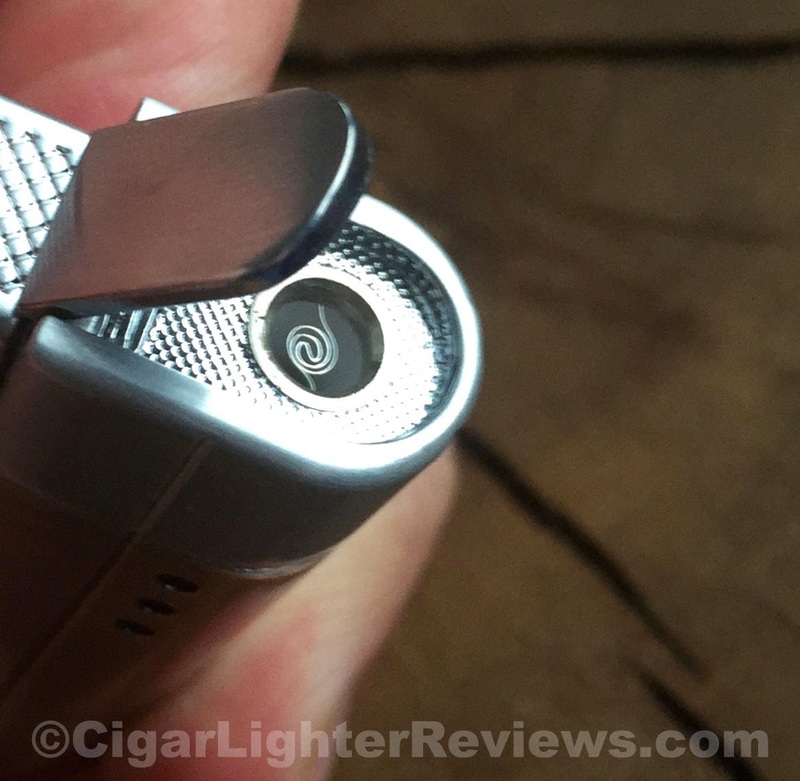 Xikar's new Cirro lighter is designed specifically to combat high altitudes. 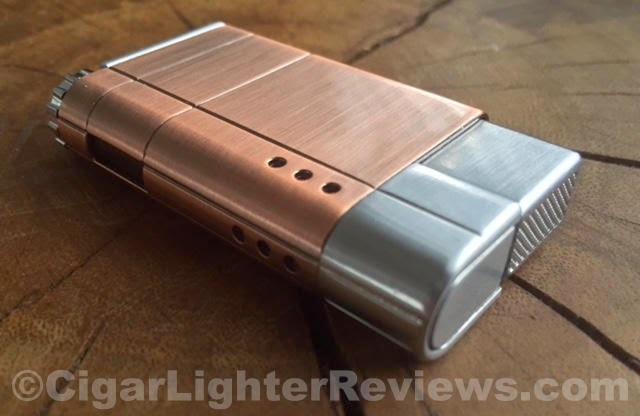 This is a more sophisticated lighter than Xikar's Stratosphere altitude lighter. There is no doubt this is one strong a$$ flame. Engineered to work at altitudes up to 12,000 feet where the air is very thin. To mix it up a little bit, CLR is reviewing the Vintage Bronze version of the Cirro. The bronze finish and patina will make no two Cirro's the exact same visually. The meaning of Cirro is that of a high cloud, typically containing ice crystals. Seems appropriate, right? Cirro's design aesthetically is nice. Though, does not do much for me visually for some reason. Xikar did a nice job on attention to detail per usual. The thumb action pusher has a knurled like texture finish for a better tactile feel. Once depressed, the lid opens up and an extremely strong flame is emitted. 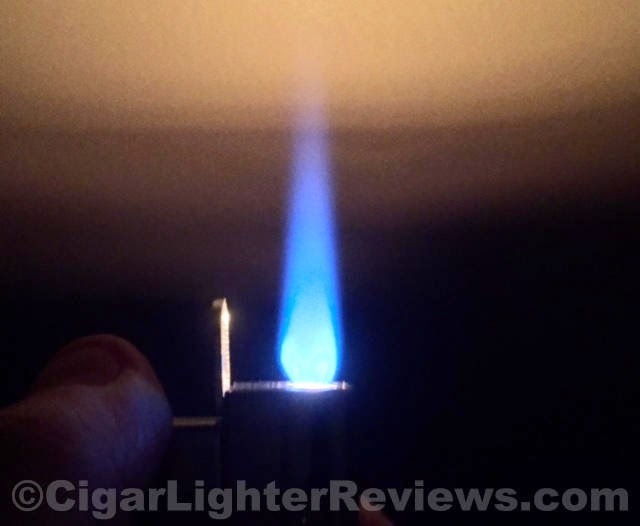 Xikar calls this a high altitude "turbo flame". This is the same type of cone shaped flame we saw on an earlier review of the Black Label Stanley. The coil on the Cirro looks a bit like that of traditional stove top grill. Regardless, the torch is very impressive. Xikar's Cirro is easy to fuel up thanks to the nice oversized fuel adjustment wheel. 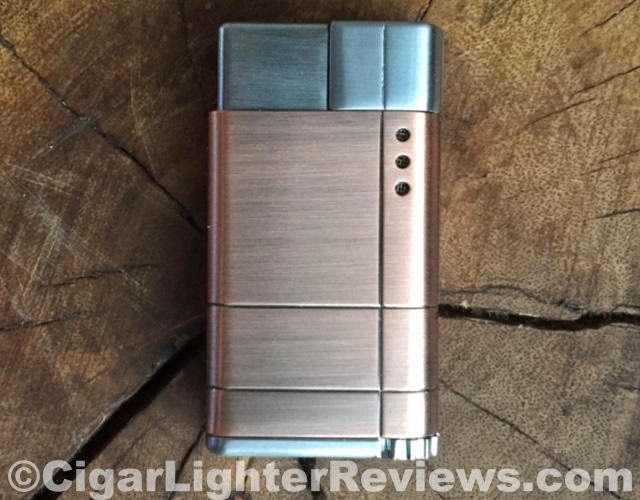 Xikar also integrated a large sized fuel gauge window into the lighters design. Cirro feels like quality, with a solidly built exterior. For a single torch lighter it's very much on the heavy side. This lighter retails for $49.95 and of course can be found for less. I am a bit torn on the value vs. list price on this one. It is a single flame lighter, but the torch is so strong and uniform. Also, Cirro does not have in integrated cigar punch cutter. The quality is excellent and the no proof of purchase lifetime warranty do help make up the difference. You mention it is heavy, and talk about flame. It would be helpful in these reviews if there was some information as to actual weight, and what sort of ignition system that is used (appears to be Piezo with a secondary catalyst coil). Unfortunately, if it is Piezo, even the catalyst will not help with ignition problems that are endemic to Piezo ignitors.